2017 AF Symposium Live Case: Adding Fibrosis to Improve Ablation Success? Live Case: Can Adding Fibrosis Improve Ablation Success? Updated March 13: We added two new slides. Streaming video of an ablation by Drs. Kevin Heist and Nathan Van Houzen from Massachusetts General Hospital (MGH) in Boston, MA (moderator, Dr. Moussa Mansour). Patient background: The case of a 62-year-old male with symptomatic persistent A-Fib, despite a previous ablation 8/9/2016. Propafenone, amiodarone, and an electrical cardioversion weren’t effective. The patient had been taken off amiodarone a week before this ablation. They cardioverted him into sinus rhythm to better measure areas of low voltage (areas of fibrosis). Low voltage areas were defined as less than 0.5 V.
THE TOP SLIDE: The RF point-by-point ablation lesions from the patient’s first ablation done months before the live case. RED dots represent a greater force or more time making the lesion; PINK dots represent a lower efficiency lesion due to proximity to the esophagus. Some of these PINK dot area had reconnected and had to be re-ablated during the live case. THE BOTTOM SLIDE: The MRI done shortly before the live case. The BLUE areas are normal atrial tissue. The RED areas are fibrotic/scarred areas. Some of the red areas in this PA view were not ablated during the first procedure and represent spontaneous fibrosis. In this live procedure from Boston, MA, Drs. Heist and Van Houzen did a normal PVI and found evidence that some areas from the patient’s previous ablation had reconnected. 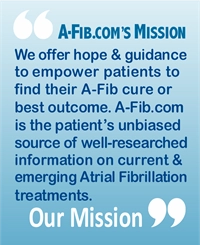 The innovative aspect of this ablation is they also ablated areas of fibrosis. ‘Spontaneous fibrosis’ tends to be patchy in a way that perpetuates A-Fib. Ablating or filling in these patchy areas with more fibrosis (i.e., ablation scarring) turns the patchy areas into dense fibrotic areas which can’t conduct or perpetuate A-Fib. They first performed a Delayed Enhancement MRI (DE-MRI) scan of this patient’s heart in order to define and measure the areas of fibrosis. The EPs then ablated (filled in) areas of this fibrosis, turning these patchy fibrotic regions into denser fibrotic areas. These dense fibrotic areas no longer conducted or perpetuated A-Fib. Two months after the ablation the patient is doing well in sinus rhythm. Whereas after his first ablation, he experienced early recurrence. 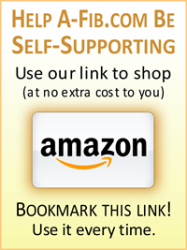 Who Benefits from this Strategy? Adding or filling in patchy fibrotic areas with more fibrosis through ablation is a very innovative ablation strategy. 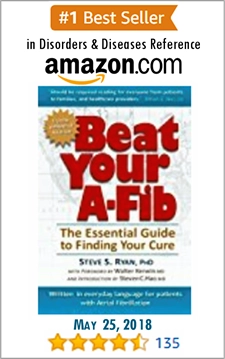 It is being applied to patients with persistent or persistent long-standing A-Fib who usually have more fibrosis, but is also being applied to paroxysmal patients who have had a durable (successful) PVI but are still in A-Fib (they often have some fibrotic areas). ‘The term ‘spontaneous fibrosis’ refers to fibrosis (scarring) which occurs naturally, that is, without a doctor’s procedural intervention. Impractical for Diffused Fibrosis: This strategy doesn’t work if someone has a generalized distribution of fibrous tissue throughout their atrium. 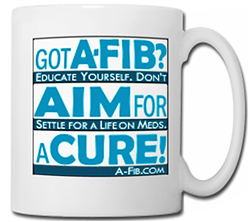 It would require ablation of the whole atrium creating too much fibrosis and causing other heart function problems. 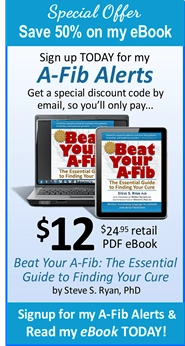 This strategy can make people with difficult A-Fib cases A-Fib free, and make a huge difference for patients who have failed ablations. While this strategy is exciting, we are only at the very beginning stages of this research. Dr. Nassir Marrouche: The concept of ablating areas of fibrosis was conceived by Dr. Nassir Marrouche of the University of Utah (CARMA). Dr. Marrouche has started DECAAF II, a clinical study on fibrosis to compare ablation of fibrosis areas to standard PVI ablation. Known for the completed DECAAF study, Dr. Mansour is now collaborating with Dr. Marrouche on the DECAAF II study, and Massachusetts General Hospital (the originating site of this live streaming video) is one of the participating sites. 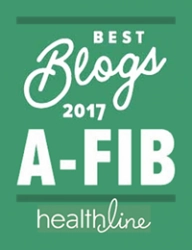 For more, see my 2017 AF Symposium article A-Fib Increases Fibrosis. 2017 AF Symposium LIVE VIDEO: Can Adding Fibrosis Improve Ablation Success?